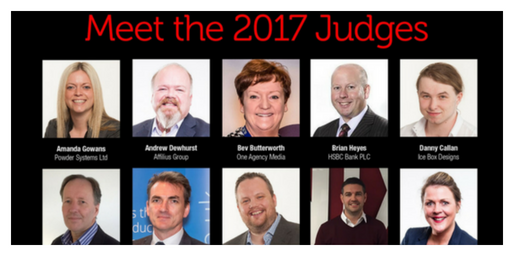 The judging panel for the 2017 E3 Business Awards has now been named. The organiser, 1 Events Media has selected a total of twenty-six judges from the fields of business, education and business support. The judges will apply their collective experience to assessing award nominations from companies, entrepreneurs and social enterprises across the North West. There are eighteen award categories in all and nominations closed on Wednesday 19th April. The judging process will entail an examination of written submissions followed by interviews with all shortlisted nominees. These will take place between 16th and 18th May at the Kilhey Court Macdonald Hotel in Standish. The winners will be announced at the E3 Awards evening, which will take place on Thursday 13th July at the Macron Stadium in Bolton. The judges are hoping to see nominations from mainstream businesses as well as groups that may be under-represented in traditional awards programmes – groups such as rural businesses, female entrepreneurs, social enterprises and those coping with disability. In order to keep a strong emphasis on diversity, 1EM has selected judges from different sectors, communities and business types. “Each year, we’ve felt compelled to extend and enlarge the E3 Awards,” notes 1EM managing director, Mubarak Chati. “The scope and volume of previous entries prompted us to add two new award categories this year. As a result, we’ve also had to increase the capacity of the judging panels. This year, we’ll have two panel sessions on each of the three days so we can get through all eighteen categories.